Employees love seeing the full value of their benefits because they demonstrate how much their employers value them. But when employees do not know what benefits they actually have, or what the value is, it can lead to confusion and ultimately dissatisfaction with their employment. The solution: clearly written employee benefit packages statements shared annually. Why are benefits so crucial to employee well-being? Employee benefit packages include compensation along with other types of pay and incentives, including work-life benefits like paid leave, performance and recognition, development and career opportunities and other types of non-financial rewards. Generally speaking, since most employee benefits are not equity-based, they include the types of things that can make one feel more valued by one’s employer, and often one’s co-workers, too. As an employee, your benefits can increase your quality of life and make your job more fulfilling. When all employees have great benefits that help with work-life balance, for example, they are more productive, easier to retain and take fewer days off. Of course, communicating these benefits in the hiring stage serves as a great recruitment tool. Why do employees need to see their benefit statements on a regular basis? All employees should receive their own personalized benefit statements at least once a year, because as they move through different lifecycles, from the birth of children to the desire for more education, to concerns about disability as they mature – their needs change and so will what they want from their benefits. For example, work-life benefits are increasingly important to employee well-being. These benefits address overall quality of life for an employee and their position in their family and community as well as on the job. 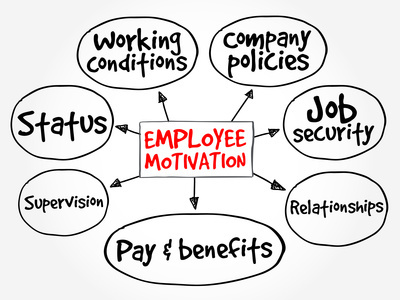 The best employee policies and programs are designed to ensure that every employee is happy at home and at work and therefore include things like workplace flexibility programs, help with caring for dependents, paid time off, financial support with savings and other life issues, and programs that involve employees with the community, like charitable functions. And, as employees move through their careers, they might also want more individualized benefits and services. These can include performance milestones, educational opportunities like graduate or professional degree tuition reimbursement or job-specific certifications and on-the-job training – all of which are linked to career advancement. They need an easy way to see and keep track of their benefits. Can your employee benefits statement end the confusion? At those moments when an employee is not feeling good about his or her job or an economic downturn has them worried about the future, seeing the full complement of their benefits in one clear statement can end any confusion they might have about their employer’s commitment to them. You want employees to be content and productive in their jobs, and that’s what they want as well. This is why you they will appreciate your clearly communicated employee benefit packages statements. They can see what benefits they have, and the total value of their overall package. As many of us have short memories, it’s important to remind employees of these benefits on an annual basis.